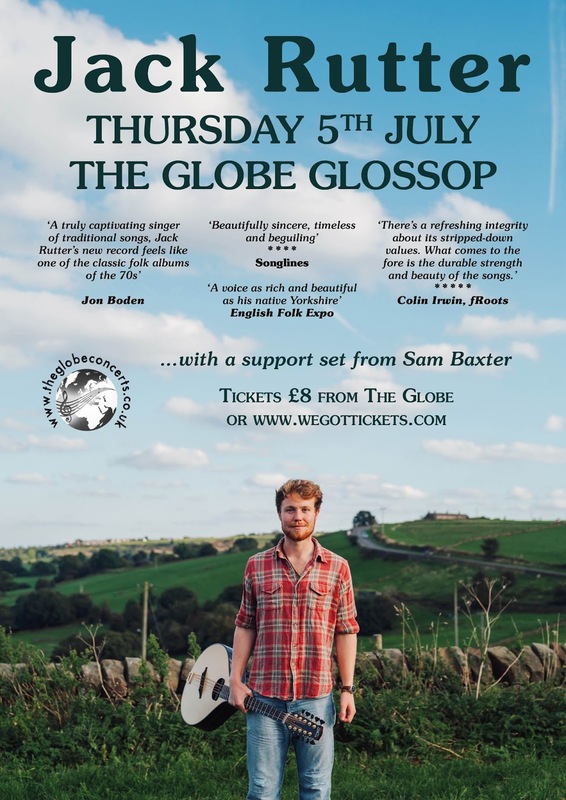 Find out what's on at The Globe Inn - one of Glossop's biggest live music venues and finest pubs. Regular live music concerts in our upstairs room with world-class folk, blues, jazz & roots music bands and musicians. 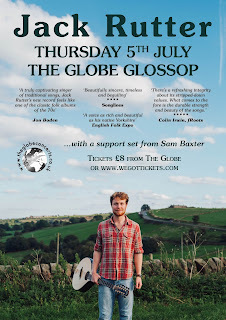 Still in his mid 20s, Jack Rutter (Moore Moss Rutter, Seth Lakeman band, Jackie Oates band) is a highly respected singer, guitarist and multi-instrumentalist making music within the British folk tradition. The recent release of his debut solo album, which is a collection of eleven traditional folk songs, produced by Joe Rusby and recorded completely solo and live in the studio with no overdubs, has been received with across the board acclaim and recognition. Critics are praising his traditional style of singing ‘beautifully sincere, timeless and beguiling’ (Songlines), and playing ‘guitar, bouzouki or concertina accompaniments are beautifully constructed and played – never getting in the way of the song, but supporting and building it’ (The Living Tradition Magazine) that have come together to create Hills, an album which ‘takes him to a whole new level, quite simply outstanding.’ (★★★★ RnR Magazine).